ALEX PARDEE'S LAND OF CONFUSION: "ZF OOPS!" Sale In Oakland This Saturday! 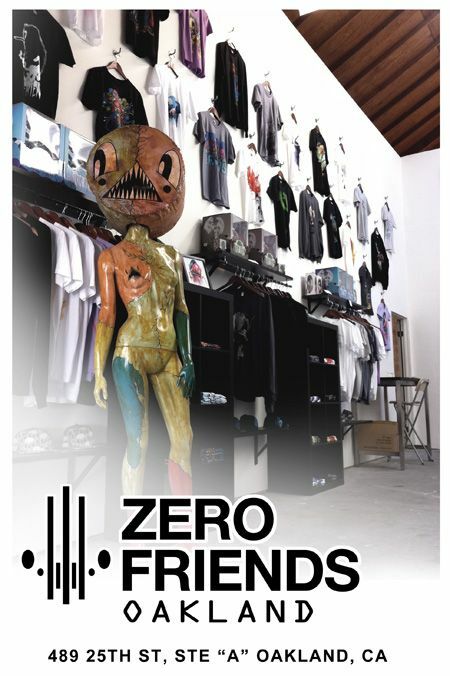 We aren't QUITE done with renovations to be open on a regular basis yet, but the new permanent Zerofriends retail store in downtown Oakland will be OPEN this SATURDAY for a little pre-opening garage sale and chill-fest. I will be hanging around for a few hours at the store as well so if you want to come say hi and try to argue with me that Human Centipede 2 and Arkham City aren't the best things to come out this Fall, please do so! Along with our regular merchandise, we have a lot of stuff that isn't available on the site, like toys, books, framed prints, discounted shirts etc. And We will be selling a brand new crop of "OOPS!" Prints and shirts on SATURDAY ONLY! If you aren't familiar with our "OOPS!" prints, we value the quality of our giclee prints higher than Seth Rogan in Amsterdam, so any small flaws (color variation, small bends, etc) get thrown into the Island of Misfit Print Pile which every few months or so we unleash into the world for less than half the price of the regular limited prints. 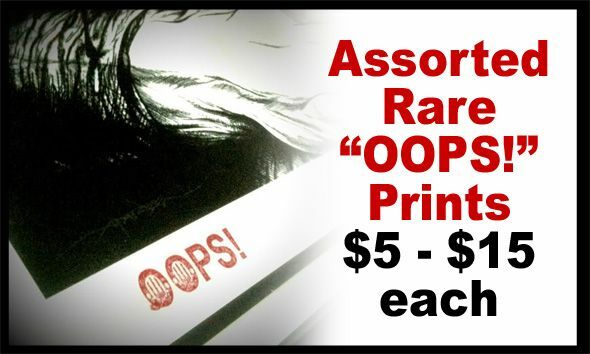 These prints are all labeled "OOPS!" and do NOT affect the numbered run/value of the standard edition prints, but they still perform the same way when surrounded by a nice comforting frame. The same applies to a small amount of Oops shirts and clearance items that we have in stock as well. 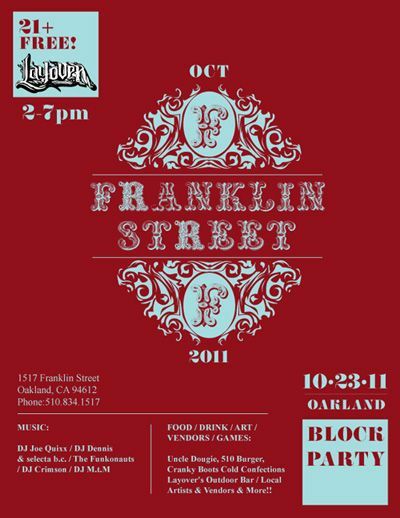 THE LAYOVER x FRANKLIN ST BLOCK PARTY! That's right, Zerofriends will have a tent set up somewhere inside the Layover Bar x Franklin St block party this Sunday, Oct 23 amongst the food, drink and music that will be raining down upon the neighborhood so come on by if you are in the area. The event is free (21 & Over only!) and there will be DJ's and food and magical elixirs that may or may not help you teleport.